70% of all change initiatives fail. Why? Because changing human behavior is hard. Newton’s first law of motion dictates that a body at rest will remain at rest (or at least in its uniform motion) unless directly acted upon by another force. You could speculate that change management would have fit right into Sir Isaac Newton’s wheelhouse were he to be a project manager today. Simply put, it’s the management of change within a group or organization. A ubiquitous term often interchangeable with organizational change management, change management has an uphill battle against inertia as well as a lot of moving parts that can get away from an organization if they’re not orchestrated correctly. Regardless of the change management model a company has decided to use, the common denominator between all of them is people. Successful change management requires frequent and clear communication between an organization and its people. Thus, an essential part of organizational change management is not only managing all the moving parts but also understanding how people process change. Disruption has become a buzzword of late when it comes to start-ups and companies shaking up the status quo, but the focus of change management is to minimize disruption when a company undergoes a shift, whether the changes be large or small. Change management and project management work hand in hand to minimize the ripple effects when change comes down the pipeline. Think of them as two sides of the same coin: the technical side and the people side. Project management handles the technical pieces during a change while change management focuses on people’s reactions to change. So why is successful organizational change management important? Because companies that can efficiently adapt to change outperform their competitors by 3.5 times. 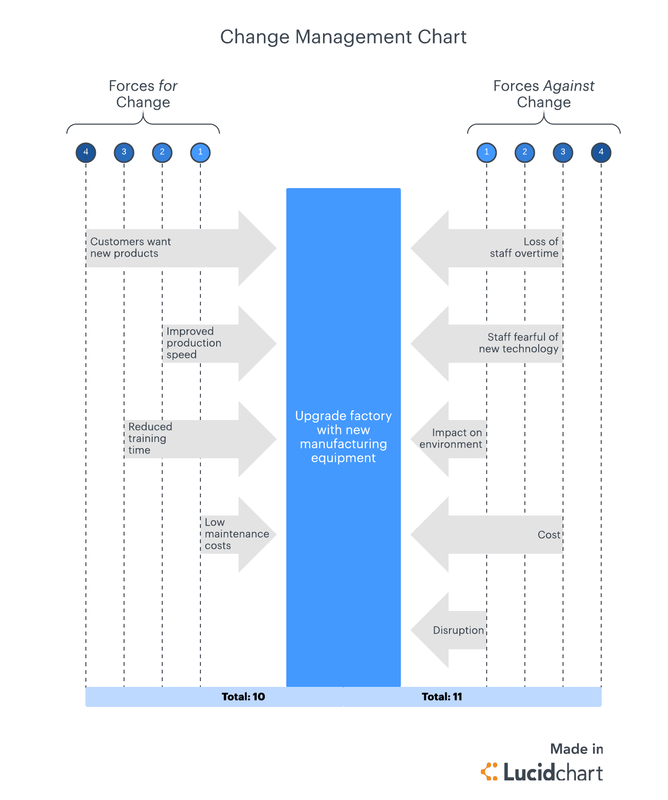 Impending changes affect every part of an organization—and the people within it. A company’s structure is like a spider web: tug on one tiny corner and vibrations are sent throughout the entire web. Every piece, every team, every person of a company affects each other. Spiders build their webs the way they do because they want to immediately know what’s coming. People are no different. As humans, we are naturally opposed to and hard-wired against change. How do we communicate this change? What does our roadmap look like? A separate set of questions for each of the steps above can help an unwieldy undertaking suddenly seem manageable. One of the greatest enemies to change is fear. No one likes being left in the dark, and uncertainty about an impending change can spread quickly throughout an organization.The antidote to fear is timely, correct information. Keep teams and individuals informed throughout every stage of a large-scale change implementation. You can build process maps in Lucidchart to outline each step of the implementation so all employees have a clear understanding of what will take place when. 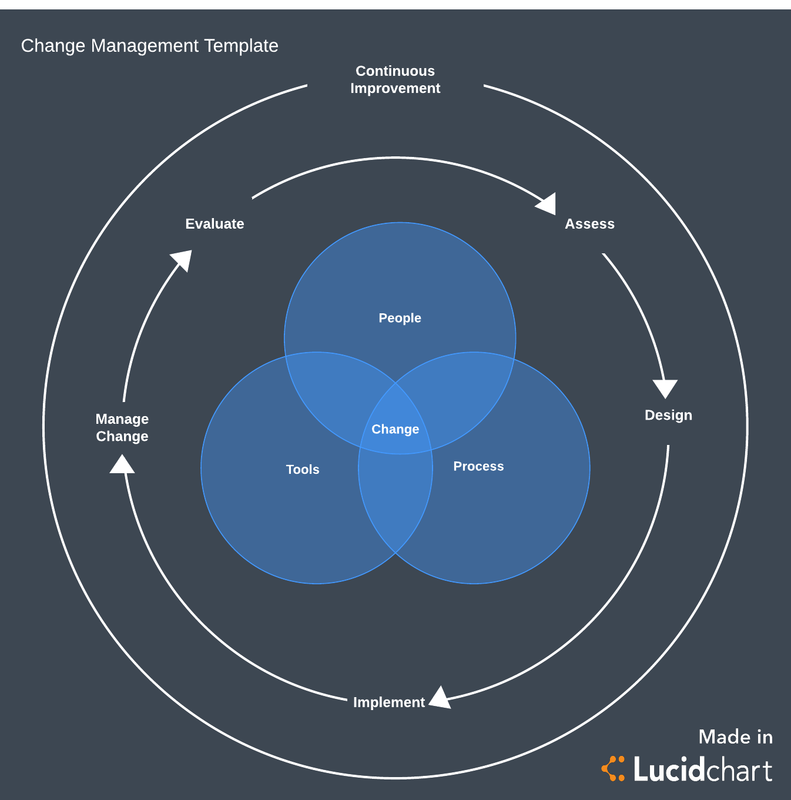 In addition, if the change involves modifying an existing process, you can use Lucidchart to show both the current process and the new process to help employees understand the benefits of the change. Yes, change can be hard. But change is natural and more importantly, change is crucial in order for an organization to grow. Strong leadership combined with clear communication works as a catalyst for change at the employee level. When employees have an informed and accurate understanding of what changes are happening and how they affect them, they can become proponents of those changes—and that’s the kind of momentum any organization can benefit from.